Ever thought about buying a collapsible cooler or a folding cooler? If so, then this is a must-read post as we’ll be discussing a bunch of them. But first, folding…what? A cooler? The only thing that rivals performance… is convenience. Actually, we just made that up. But it certainly is true in many ways – especially in the cooler world. Think about the most hi-tech, premium-quality, best-performing coolers on the market: they’re big, pricey, heavy, bulky things that are a bear to carry, right? Enter the ultra-convenient, ultra-portable niche of folding and collapsible coolers. You see, not everyone cares to drop $500 or so on a high-end ice chest that they struggle to carry for more than 20 feet. Some people want convenience; something they can throw an ice pack and a few drinks in, sling over their shoulder, and stroll down to the beach or picnic spot with. 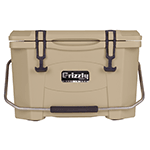 Below you’ll find reviews of our personal go-to choices for the best collapsible ice chest, folding cooler, pop up cooler and collapsible cooler bag, based on a combination of value, portability, convenience, and performance. 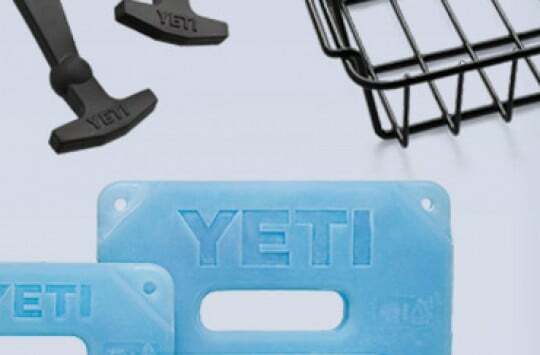 Although they’re only intended for a few hours’ use at a time, for the right purposes these coolers really can be an extremely useful addition to your collection. 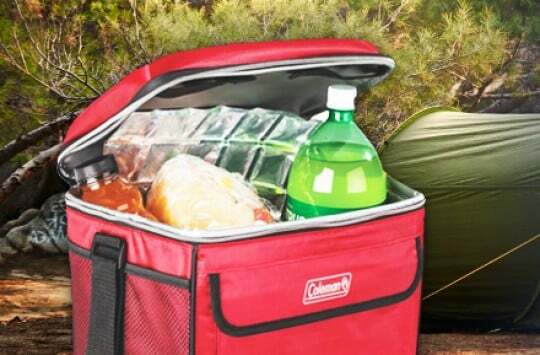 While the Coleman brand remains one of the most popular names in outdoor products, and sell various types of coolers, these days they aren’t exactly known for the best performing, most superior quality gear. 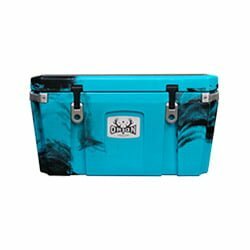 While this soft 40-can collapsible cooler is no exception to that, there’s a lot we actually really like about it, and it’s super convenient if used for the right purposes and with the right expectations. 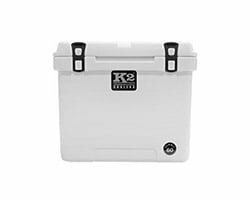 For the size (14” x 11.4” x 12.3” – holds right up to about 40 cans), don’t expect to find a more packable or collapsible ice chest than this one. 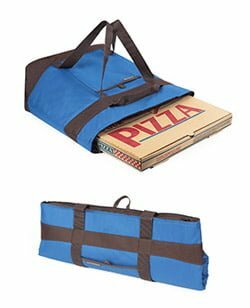 It folds down flat to the size of a small telephone book, which makes it excellent for travel or if storage space is tight. Also, for the price we were surprised to see that it’s constructed of a heavy-duty 420D nylon – dont worry about this thing tearing, even if you’re carrying it loaded down with ice and drinks. One thing we will say about this cooler, is don’t expect it to hold ice for more than about three hours on a hot day. And once the ice does start melting, don’t be surprised to find that it will probably leak a little water through the bottom. Comes in three colors: Red, Navy and Grey. This one is a bit of an upgrade in quality over the Coleman C006. Constructed of closed-cell foam and a 600D ripstop polyester exterior, it held ice easily for about 4-6 hours, and we didn’t notice any leaking once the ice started melting, unlike the Coleman. With a more rigid top and bottom, it’s a little bulkier and more awkward to carry than the Coleman. However, the added rigidity allows for some cool extra features such as built-in can holders on the lid, and the ability to use it as a foot rest while chilling out in your camping chair. 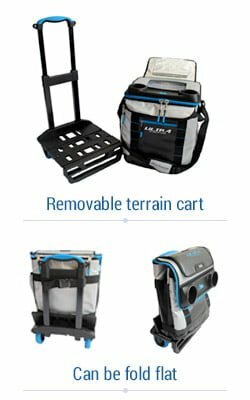 This would be a great folding cooler for picnicking or car camping, where portability is a must but you still want something that can perform and have some added functionality. Oh and lastly, one of our favorite features – it comes with 2 Kelty can coozies! This fully collapsible cooler on wheels , available right here has all the bells and whistles. 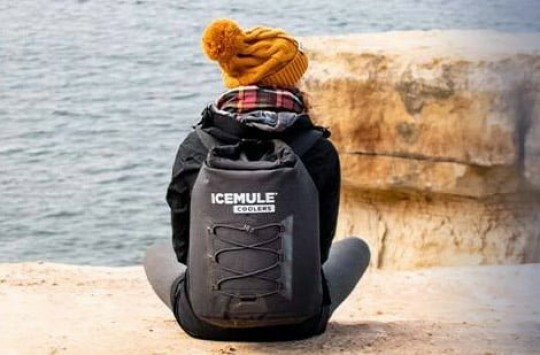 It features a detachable drawstring mesh bag that you can use as a backpack or sling, two can/cup holders built into the lid, a fully padded sling for comfortable carrying, and front and side mesh pockets and zip-up storage compartments. Not to mention, a 100-lb capacity rolling cart with heavy-duty wheels that the cooler can fully detach from, giving it 2-in-1 capabilities (cooler/sweet transport device). Although the rolling cart is an excellent idea, we did have some trouble with it performing solidly over sand and other non-smooth terrain. If you plan on trying to roll it over beach sand, for example, you’ll find yourself doing a lot more dragging than rolling. Also, unless the rolling surface is smooth, the cooler can (and will) fall off the cart quite easily. They really should have thought about adding some secure straps that fasten the cooler snugly to the cart. Performance-wise, the cooler will hold ice for about 3-4 hours before melting, in our experience. It doesn’t perform quite as well as the Kelty folding cooler, but all the extra features make for a tempting compromise. This is a pretty large cooler at 15.5” x 14” x 14.25”, with a capacity to hold 58 12-oz cans. With compressed dimensions of 13.5” x 3”, this circular 24-can pop-up cooler is the smallest/most packable of the bunch. 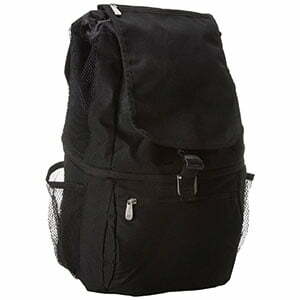 It pops up to 13.5” x 9”, and is a great option for travel (pop it in your suitcase), beach use, or picnicking. It features a velcro ‘easy access’ opening built into the lid, as well as a clip-on corkscrew for the wine aficionados out there. (Actually a pretty good idea – we’ve all been there where we go to pop open a bottle of wine, only to realize no one has a corkscrew). Materials-wise, it is not as well-constructed as any of the previous coolers, and you’ll find that ice will start melting after probably a couple of hours. With a seamless, one-piece PEVA interior lining though, leaks should not be an issue. Just go to Amazon and choose your favourite one. 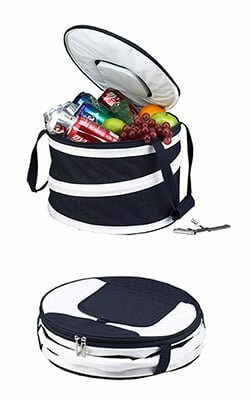 This insulated collapsible cooler bag has become a very popular, very well-liked and well-reviewed product, that can serve as anything from a beach tote bag to a grocery bag to a fully-functioning soft-sided cooler. At under 30 bucks, its efficiency and multi-functionality make it a fantastic value buy, or an awesome gift idea. It can fold completely flat for convenient storage, and the high-quality handle can convert for either vertical or horizontal use. For the price, construction is of respectable quality, and the foldable cooler bag boasts some seriously impressive materials including high-performance foam insulation, a ‘Therma-Flect’ radiant barrier for carrying hot/cold items equally well, and a 600D polyester exterior. 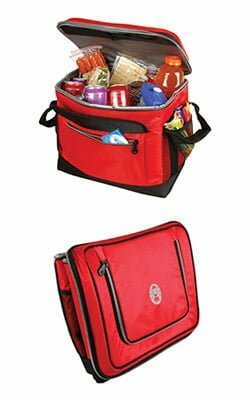 At 22” x 8” x 17.2”, the bag is a decent enough size to fill up with plenty of food, drinks, snacks or groceries, yet still compact enough for no-hassle storing. We know many people that like to just keep one in the car at all times – you’ll find yourself using it a lot more than you’d think. That being said, though, use these things in the right way and have the right expectations for them, and they’ll provide you with plenty of carefree, convenient use and fun afternoons. If you want to see more products similar to ones we’ve just covered then check out all folding coolers currently listed on Amazon.